In the present scenario more and more individuals are prone to hair problems. When it comes to hair problems individuals often complains about receding hair line and bald patches on their head scalp. The increase in ratio of hair problems is due to change in environmental conditions and unhealthy eating habits. Whether the hair fall is due to any reason the only solution to hair problem is Hair Treatment in Ahmedabad. Hair treatment has proved to be successful and the most trusted alternative for eliminating hair problems. It uses only advanced tools and techniques so as to achieve desired and more faithful hair results that last for lifetime. There are various types of advanced hair techniques that are successful in eliminating all types of hair problems. All the technique whether it is PRP, FUE or FUT is effective in treating hair problem properly but the selection of the suitable technique for eliminating hair problems depends upon the doctor. 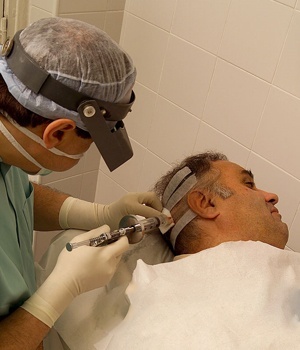 He selects the appropriate technique on the basis of patient’s expectation and hair loss conditions. Hair Loss Treatment in Ahmedabad is suitable in treating hair problems effectively and thus it is chosen by many hair loss patients for expected results.